Looking for events and information about what’s going on around the Diocese? Go to diolc.org/calendar so you can stay up to date on what’s happening in the Diocese of La Crosse. If you would like to add a parish event to the diocesan calendar, please send a message to datebook@diolc.org and share what’s happening at your parish. 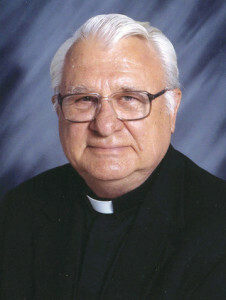 Father Jude Weisenbeck, SDS, a native of Durand, died on May 26 at the age of 84. He was ordained a priest on June 4, 1960. He lived in La Crosse for several years as a senior priest and often celebrated Mass at the Cathedral. A Memorial Mass was celebrated at his home parish, St. Mary’s Assumption in Durand, on Tuesday, June 7, at 11:00 a.m., with Monsignor Delbert Malin as celebrant.